Wash dal 2-3 times and soak them in a enough water for about 4-5 hours. Drain out the water. Add in green chilies and garlic. Grind them coarsely. Add little water if required. Take out this paste in a mixing bowl. Add red chili powder, paprika, coriander powder, cumin powder, turmeric powder, carom seeds, chopped cilantro, curry leaves, rice flour and salt to taste. Mix this really well. Meanwhile, heat oil for frying. Take a spoonful mixture on palm and flatten it little bit. 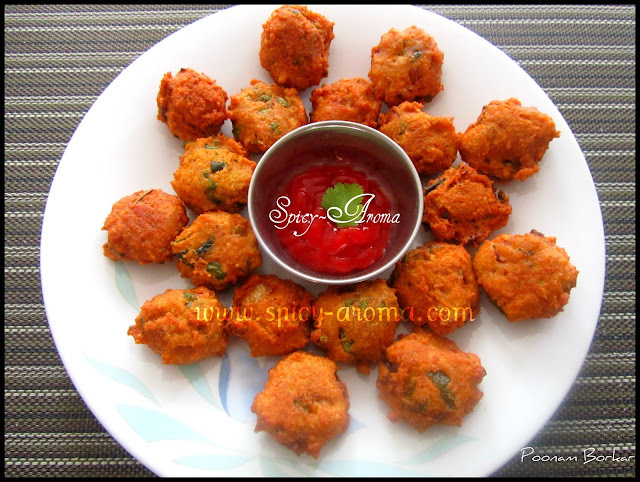 Drop the vada carefully in a hot oil. Deep fry on medium heat till it gets nice brown color. Serve hot with tomato ketchup or any chutney. This is a great recipe. 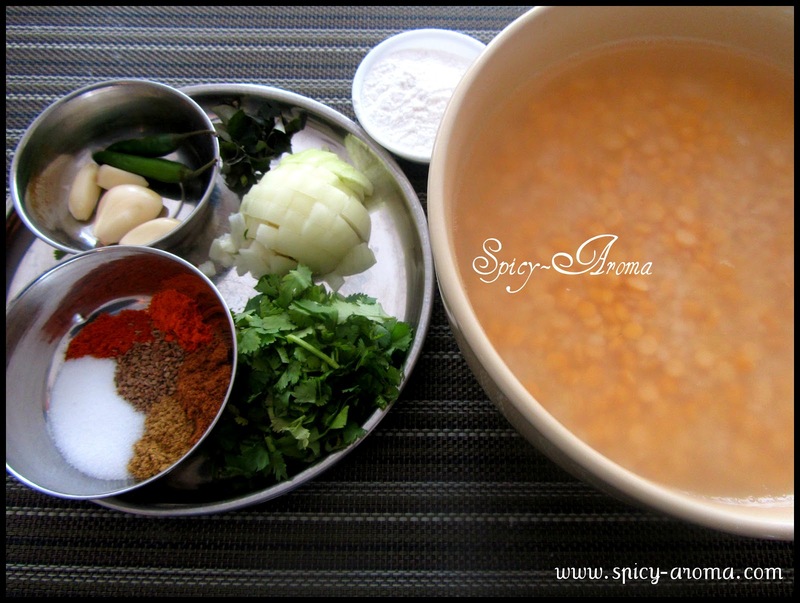 Mixed dal is perfect because each has a different texture and taste. It must have tasted delicious with tea. Nice crispy vadas, very tempting.. 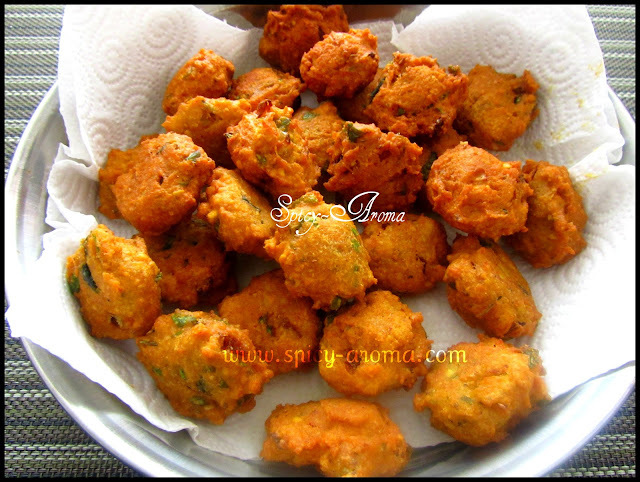 Very crisp and cute vadas ,I often make mix daal vadas ,but never tried with rice flour.will try soon..